I have been on a journey these past few weeks – both internal and external. I have travelled far from home to reach Ballymaloe Cookery School in County Cork, Ireland, where I will remain for the next three months or so learning and refining my skills as a cook. I have been looking forward to this trip for such a long time, that when it finally arrived – as much anticipated moments are wont to do, given the inevitability of time – I was surprised, and slightly overwhelmed. But before Ireland, I had a moment of time to adjust and refocus my energy and personal space. I spent a wonderful few days in London … in a sun-filled, quiet flat, surrounded by green, a gift of my GoddessMother. I visited with my delicious Karo … and was embraced by my sayang for (and by) MsTina. She brought me a present – the divine chocolate of Amelia Rope – hand made, signed and individually numbered. Fine, beautiful, artisanal, and tasting of love – she gave me the Pale Lemon and Sea Salt edition – such a revelation. I ate and laughed and shared with my Adik at Carluccio’s … and dined at the lovely vegan raw-food Saf restaurant on the 1st Floor at Whole Foods, Kensington. What a wonderful beginning to the adventure of a lifetime. Opened me up, reoriented my soul … and gave me a little space to just root down a bit. And then… and then… a journey that took me through Bristol, Hay-on-Wye and Fishguard (in Wales), across the Irish Sea to Rosslare, and finally here, to Shanagarry, County Cork. I was nourished along the way … by life – and by food and friends and an abundance of love. 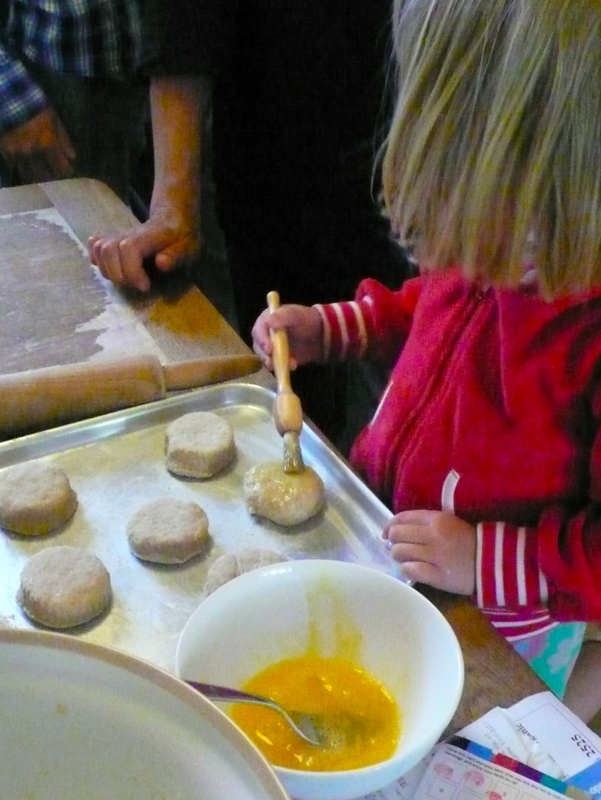 In Bristol, I arrived to the warm embrace of Soph and Hux and Coral – and the beautiful experience of watching mother and daughter make scones with love and light and laughter. 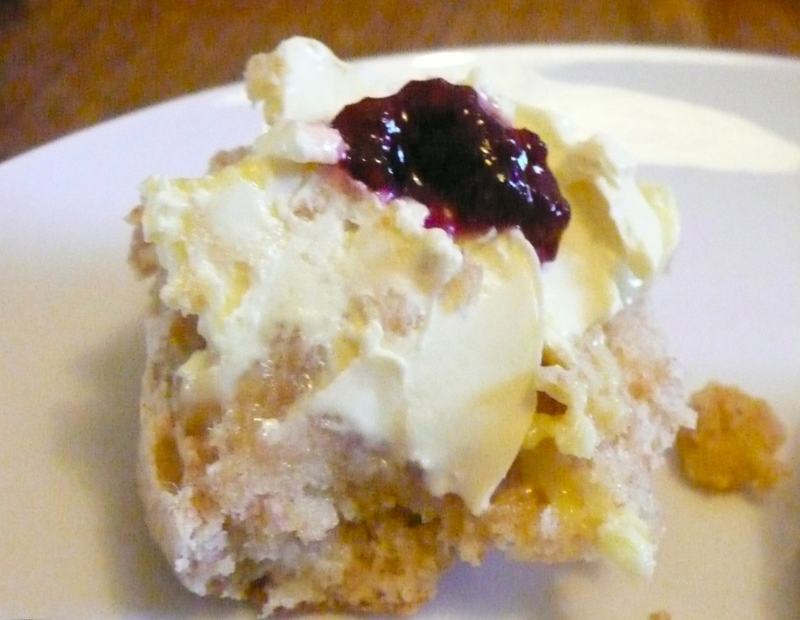 They were perfect – a superb English cream tea. And deep, in the still of the night, I found a breath, unexpectedly. And I knew that right now, I am living in pure joy. 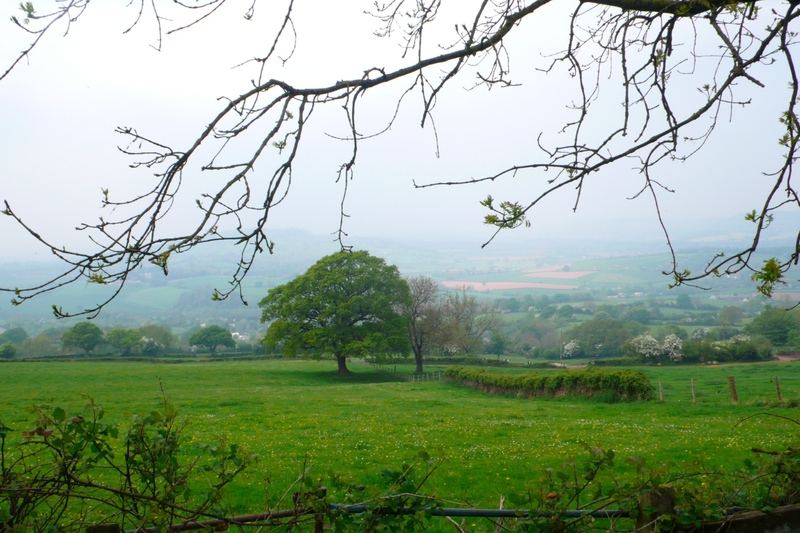 The next day, I reconnected with and hugged C+C at the Avenue Cafe in Henleaze and had a perfect latte before heading out onto the open road to Hay-on-Wye – the town of bookshops located in the Wye Valley in Wales. Along the way, I passed through country so beautiful, I just stopped and looked and laughed aloud with happiness. 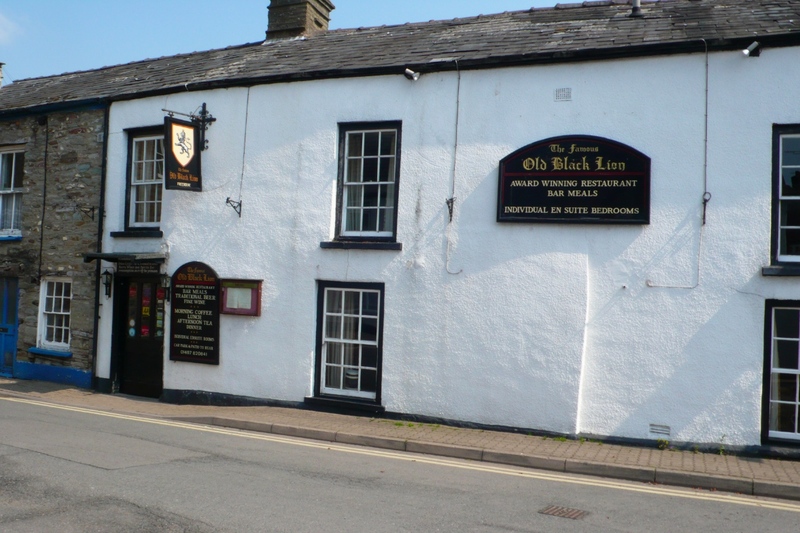 Nourished by the green, I stayed the night at the wonderful Old Black Lion – where the welcome was warm and kind, the bed was comfortable, and the building just resonated with stories and voices and laughter. I have decided that one of the great pleasures of life is taking a road trip, and exploring. One’s internal voice becomes strong and clear – and the pace is exactly to one’s own rhythm. 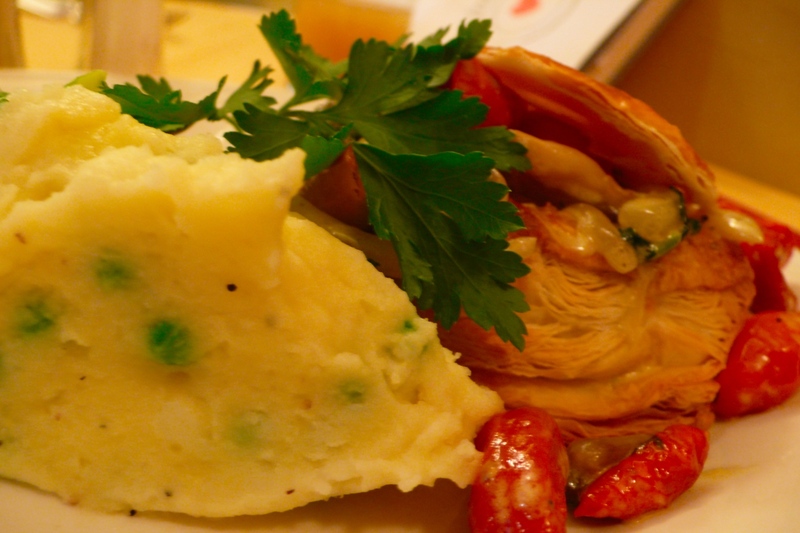 I had dinner at the Old Black Lion – a simple but beautifully made mushroom, roasted tomato, spinach and leek vol-au-vent with mashed potatoes and peas. Fresh ingredients, clarity of flavour, and pure warmth. 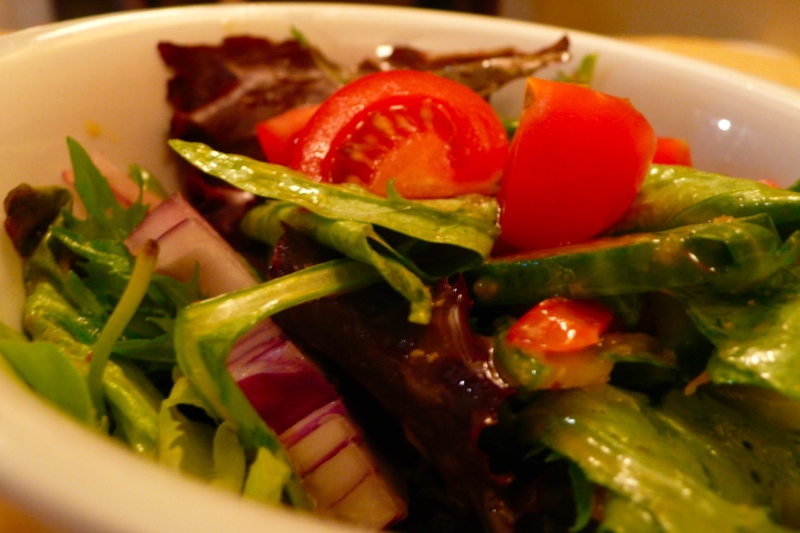 But it was the salad that really made me stop – crisp, green, sweet, savoury, juicy and perfectly fresh. Sometimes its the most basic of things, presented with a loving hand, that makes the heart glad. 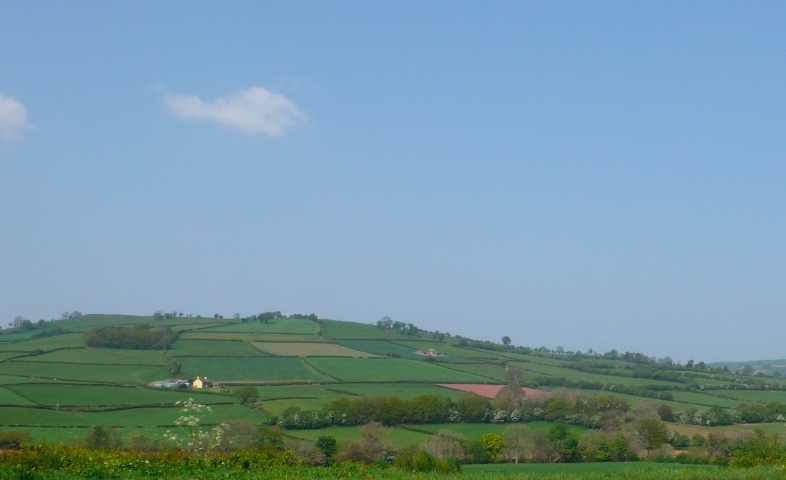 And then it was across the Brecon Beacons – greens of infinite hue, gently rolling hills, trees singing me along my journey… and a blue blue sky. The ferry left in the early hours of the morning, and I arrived on the Emerald Isle at 615 in the morning… to mizzle (mist and drizzle combined) and pure sweet air and laughter in the wind. 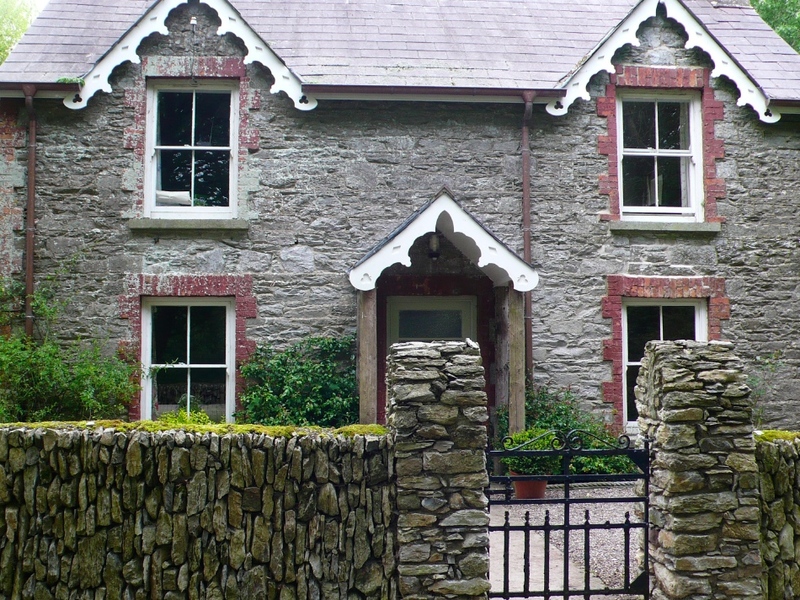 I arrived at Ballymaloe Cookery School at around 930am and was shown my beautiful cottage, where I am to stay for the next three months with five other lovely people – Mrs. Walsh’s cottage. (My room is the second floor window on the left). It is so beautiful here, my senses and my spirit devour everything – the sounds of the birds and the rain and the wind, the scent of green and sweetness and earth, the lushness and textures of stone and wood and growing things. It is a place to learn, expand and be nourished. 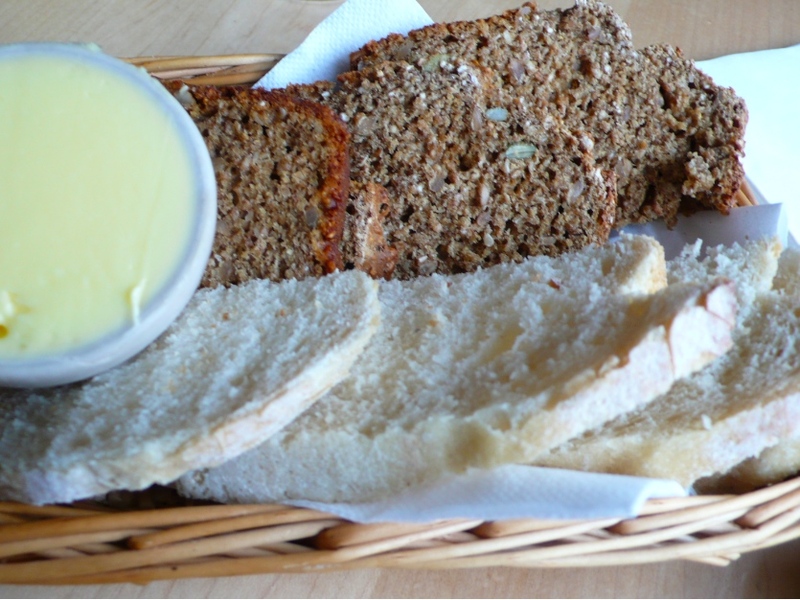 And on that first day, after unpacking and making my own bed, after setting out my Buddhas and laying out my clothes… I went to Ballymaloe House Cafe and Craft Shop. Firstly, to get a warm woolen sweater as an extra layer against the cold! But also, to enjoy a new meal, with a new friend. 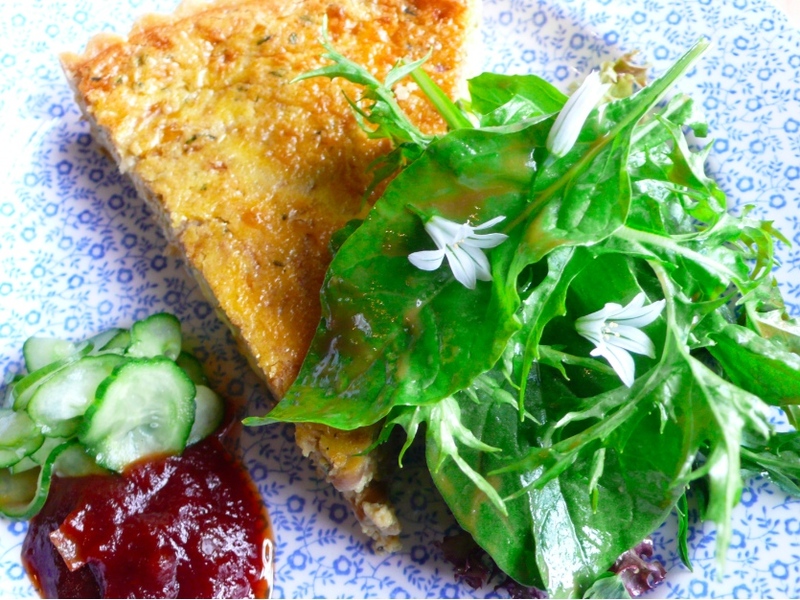 A lovely welcome lunch of fresh salad, light cucumber pickle, spicy tomato chutney and a camembert and caramelised onion tart. Such a gorgeous textural combination – and such lovely company. And then to bed … with the promise and the joy of a new beginning – of cooking every day, being immersed in food and conversation and new souls and spirits. Of living in green and laughter, and using my brain and body and skill. Of breathing deep and true and resonating with joy. Nourishment is all around … it is the journey.